Birth Name : Kiran Thakar Singh. Siblings : Amardeep Singh, Kanwal Thakar Singh. Famous Films : Dostana, Pestonjee, Karz: The Burden of Truth, Main Hoon Na, Veer-Zaara, Rang De Basanti, Kabhi Alvida Naa Kehna, Ajab Gazabb Love, Devdas, Khamosh Pani, Hum Tum, Mangal Pandey: The Rising, Fanaa, Total Siyapaa, etc. T.V. Shows : India's Got Talent, Isi Bahane, Prratima, Gubbare, ER. Awards : IIFA Best Supporting Actress Award, Apsara Award for Best Actress in a Supporting Role, Colors Golden Petal Award for Most Dildaar Personality, Star Screen Award Best Supporting Actress, Colors Golden Petal Award for Most Manoranjank Personality, etc. Kirron Kher is a very wonderful personality. Through out her film career she played a tremendous role in all fields such as comedian villan heroine drama and also in all types of negative and positive roles. She is very honest to her work. Any of her tremendous films when comes in mind all make us happy sad and proud. All her movies makes her a very huge personality. She always did the full disambiguation with all her roles offered to him. She is also very successfull in both her social and her personal life. Her name will remains in golden words always in bollywood history. 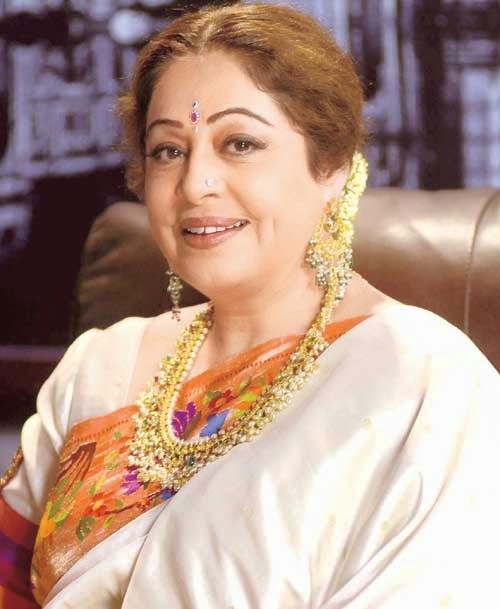 Recent Tag : Kirron Kher Biography, Kirron Kher life history, Kirron Kher films, Kirron Kher details, Kirron Kher Best movies, Kirron Kher birth detail, Kirron Kher date of birth, Kirron Kher image.